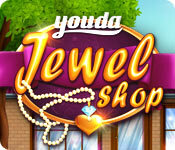 Youda Jewel Shop is rated 3.0 out of 5 by 56. 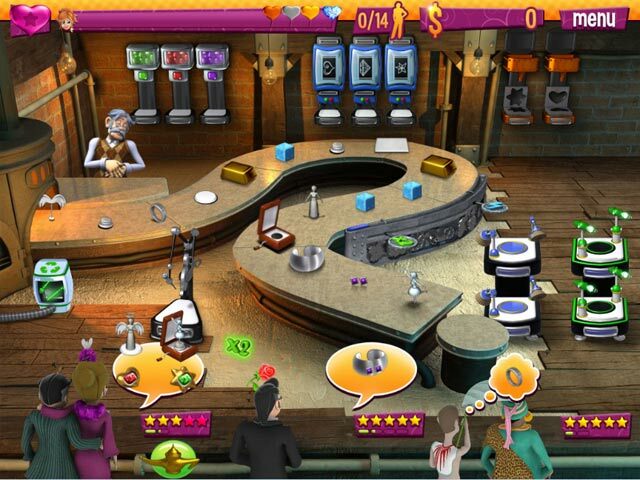 Rated 5 out of 5 by amylmenke from Great game As others have said, it's just like Burger Shop but with jewelry and some other changes. Very fun, highly recommend if you enjoy a good challenge. Rated 5 out of 5 by treeves777 from I loved the Challenge The higher levels gave a better challenge. I'm still working on repeating some levels so I can earn that perfect rating. Rated 5 out of 5 by beans1030 from Kept me busy...great speed I agree with those that have compared to Burger Shop. I like the fast-paced, adding things as you go along. While it doesn't have a right-click delivery system, if you click and hold, it will go right to them. And also, if you click and hold, it will put the item where it needs to be (the right color gem, the right card, etc). Once you get the hang of that, the higher levels are definitely challenging! Thanks for keeping me interested....keep the time management games coming! Rated 5 out of 5 by melantha5 from Challenging, fun, inventive I really like this game! It's an "assembly line" game, but there are new additions that keep the game fun. You are assigned little "quests" to do, and there's a competition where you compete to design your pieces the fastest. It's very cute, and the new additions - powerups, repeaters, quests and the like - keep the gameplay fresh. Overall, I recommend it to fans of this type of game. Rated 5 out of 5 by agray000 from Loved it! 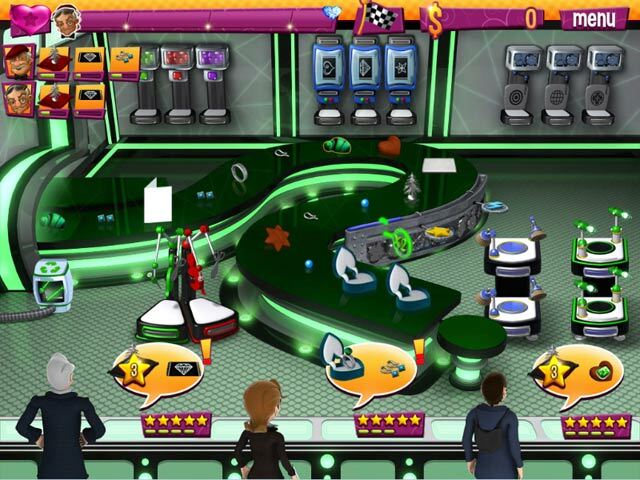 The game play was a little different and several of the levels were quite challenging. I had to play some levels multiple times to get the diamond heart. The game had me stuck to my computer for a couple days. 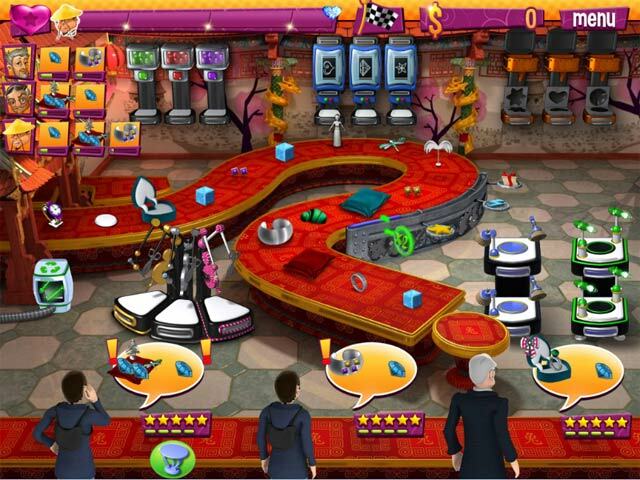 Rated 5 out of 5 by tailswhiskers from Youda Jewel Shop If you want a fun game this is it. When the customer comes in there is a bubble over their heads and it shows you what you have to make. It is easy to do. I could waste time playing this game. People come to you because they need your help and you can go and help them. You get a reward after you finish helping them. It will be a new piece of jewely that you will be making for your customers in the next level. I would recommend this game. Rated 5 out of 5 by FloridaGirl7264 from Loooooved it!!!! When I first started the trial, I wasn't too keen on it. It seemed very simplistic and boring. Once she graduates and starts working in her grandfather's shop, it picks up pace and gets very interesting! A must buy for those that love TMs!